when it comes to new exciting lounges, i can almost never get my hands on them because i live in germany and most stores don’t carry any of the brands i’m looking for. 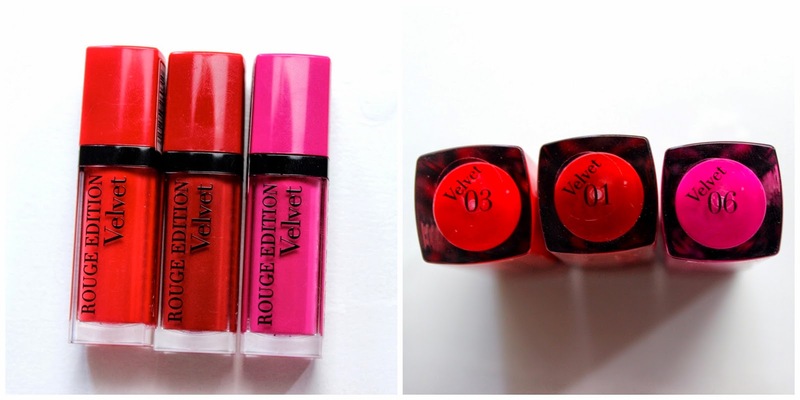 so, i almost gave up on getting the rouge edition velvets from bourjois that everybody is raving about but as i was browsing on asos lately, as always, i saw them on their website and they were even on sale for 9€ and i couldn’t resist. sadly they aren’t on sale anymore but i’ll link them anyway. because on single shade isn’t enough for a lip product addict, i went for three, off course, bright shades and i couldn’t be more excited when they arrived on my door step on saturday. the shades i went for are hot pepper, a orangey red which is perfect for summer. also i wanted a bright fuchsia pink as i find it goes really well with my skin tone and i picked up pink pong and also i went for a classic cherry red which is called personne ne rouge!. its a bit early to do a full on review but as off my first impression, i can’t say anything bad. they come in a nice tube that looks very sleek and elegant and its the perfect handbag size and the little applicator is the perfect size as well. it is really thick and dense and applies the color so easily. they do its name justice, they are super velvety when i applied them to swatch then and on my lips, the feeling is awesome and they dry matte. a huge plus as i’m normally not a big fan of anything glossy. yesterday, i wore pink pong out and it literally stayed on all day long and didn’t smudge anywhere even though i was eating and drinking, so i’m quite impressed and will report back on them soon. 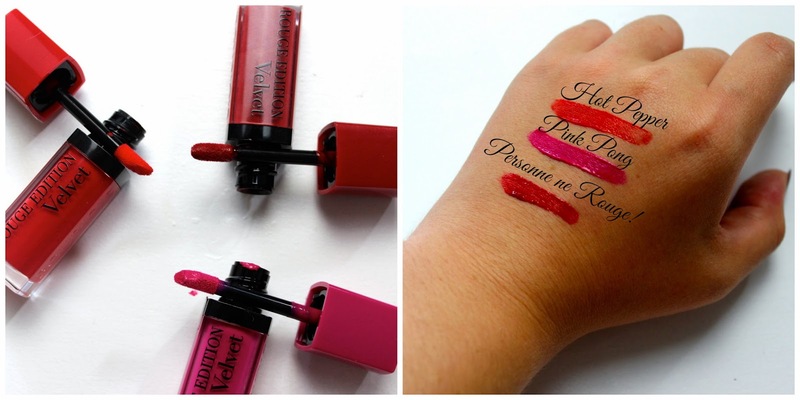 have you tried the rouge edition velvets? do you like them and do you have a favorite shade? let me know! "Empties – Products i’ve used up"